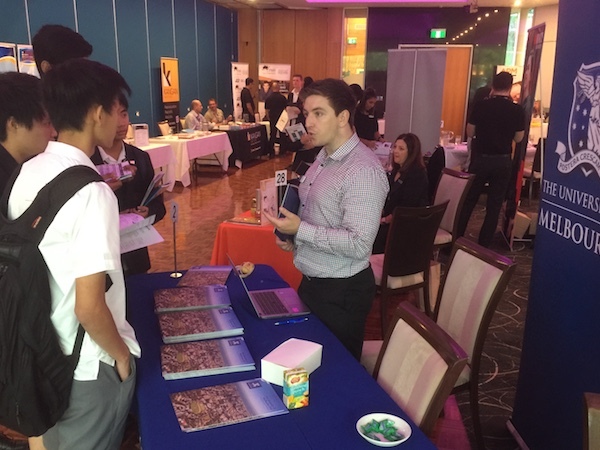 Year 10 and 11 students at Northside Christian College attended the Youth Employment Opportunities Fair and Careers Expo on Thursday 15th March at the Plenty Ranges Arts and Convention Centre in South Morang. Our students were encouraged about the significance of dreaming big, networking and life long learning. They were presented with a chance to reflect on areas of interest and where they can take you in regards to career pathways. Furthermore, they were encouraged to think broad and consider options they had not previously considered. The Youth Employment Opportunities Fair provided students with additional information about jobs, apprenticeships, traineeships and further study placements. Students had an opportunity to consult with local employers, Centrelink representatives, Job Service Australia providers, Apprenticeship and Traineeship groups and University and TAFE advisers. The Youth Employment Opportunities Fair and Careers Expo was part of providing students with additional help with future pathway planning. Students appreciated the opportunity to speak with a broad range of people in an attempt to find out the right information to assist them with future planning. Northside Christian College provides Senior School students with support and information sessions and encourages students to make careful decisions about their future pathways based on their capabilities and learning styles. Students and their parents are provided with up-to-date information about tertiary study and post school opportunities through a dedicated Schoology page. Please see Mrs Waters for more information. Thank you once again to Mrs Lenna Waters for organising this excursion for our Year 10 and 11 students at Northside Christian College.